First Listen: Low, 'The Invisible Way' Low's 10th full-length studio album was produced by Wilco's Jeff Tweedy, who avoids any temptation to radically stretch the Minnesota band's boundaries. But he wisely dials up the interplay between its two singers, while letting bits of piano and spare percussive rumbles provide a jolt of portent. 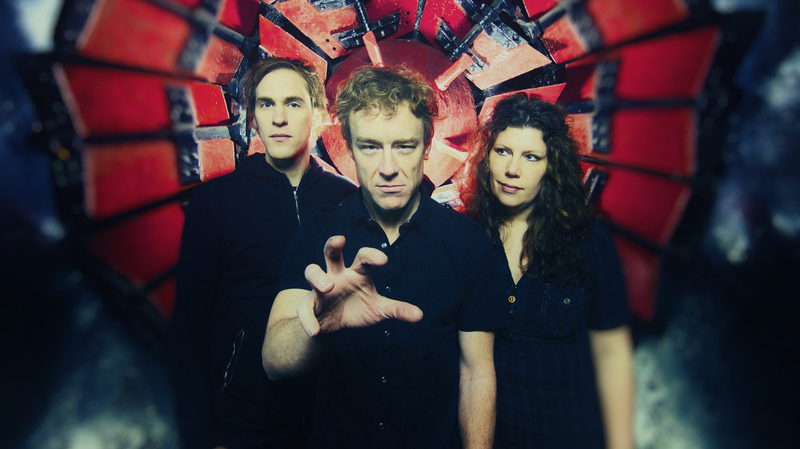 Low's new album, The Invisible Way, comes out March 19. In 20 years, Low's basic ingredients haven't changed much: Guitarist Alan Sparhawk and drummer Mimi Parker swap and sometimes layer their vocals, with a third member joining the married couple on bass. The pace, for the most part, is kept deliberate, even glacial, with strategically deployed silence hanging between notes in order to enhance their power. Low songs don't often change tempo noticeably, instead achieving tension through variations in volume. But that seemingly limited framework still provides ample room for experimentation: Low can be a sweetly chiming pop band, or it can seethe and unsettle with an almost industrial buzz. It can express emotion by drawing out the barest fragment of a phrase, or it can expound thoughtfully on life, death, secrecy, war and the way humanity collides with itself. Low's 10th full-length studio album, The Invisible Way, was produced by Wilco's Jeff Tweedy, who avoids any temptation to radically stretch the Minnesota band's boundaries. But he wisely dials up the interplay between Sparhawk and Parker — who's too often underutilized on Low records — while letting bits of piano and spare percussive rumbles provide the portent. "So Blue" and "Just Make It Stop" give The Invisible Way a bit of a jolt by laying Parker's vocals atop unusually jumpy arrangements, but most of these songs land squarely in that sweet spot where darkness and worry are swathed in pristine beauty.